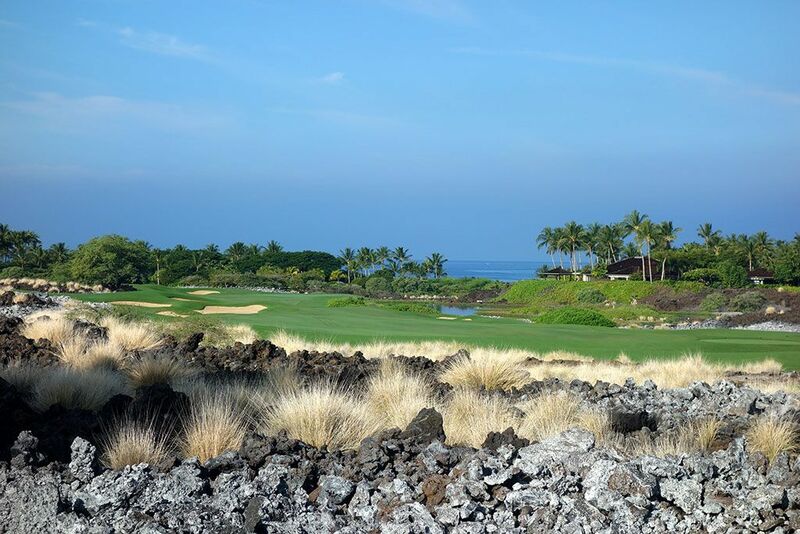 Course Website: Official Website - Visit Hualalai Golf Club (Ke'olu)'s official website by clicking on the link provided. 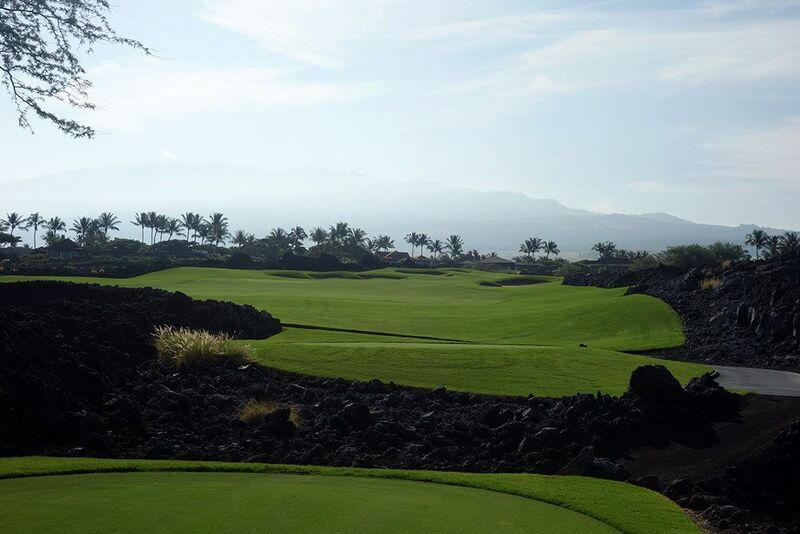 Accolades: Ranked 20th in Hawaii on Golf Course Gurus' Best in State list. 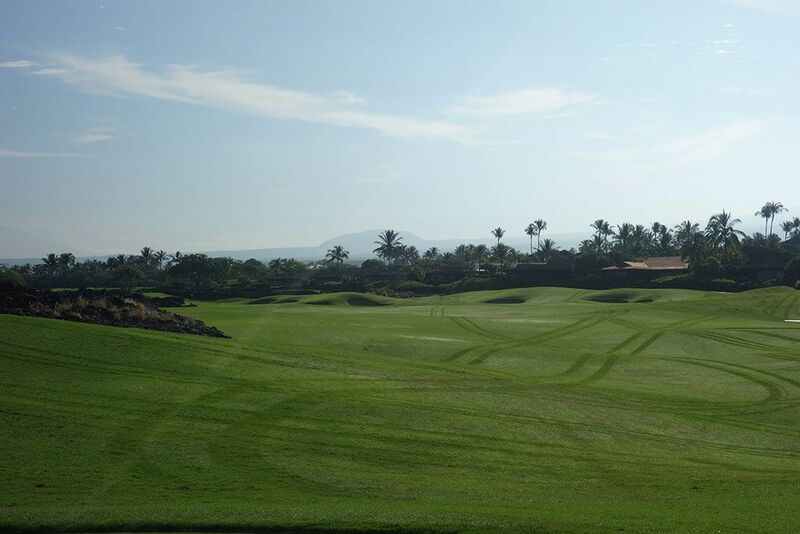 What to Expect: Ke'olu is the private side of Hualalai's 36 hole facility and is a Weiskopf design that compliments the resort side Nicklaus routing. 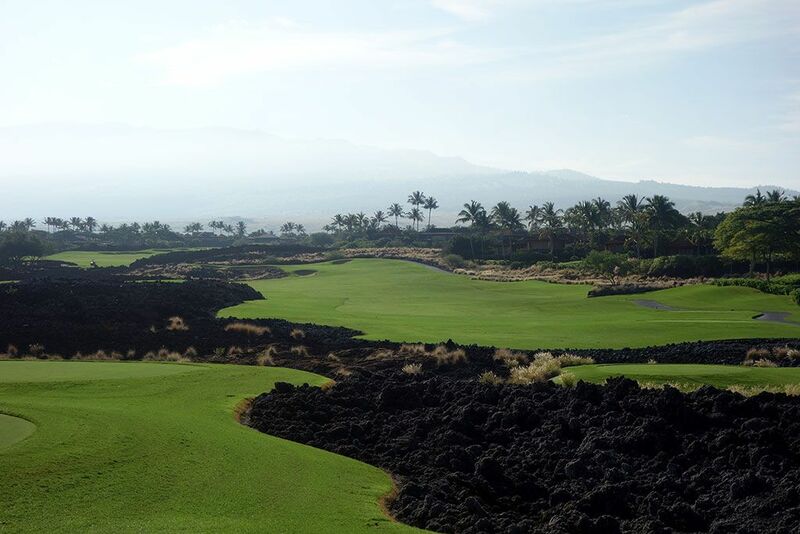 The fairways wind their way through the lava rock that is ever present on Kona's coast and hillsides. The course features gentle elevation changes but nothing too drastic as to accommodate a wide array of shots and skill levels. The Tifway 2 fairways and TifEagle greens are immaculately maintained with the turf benefiting from the very little play the course receives. 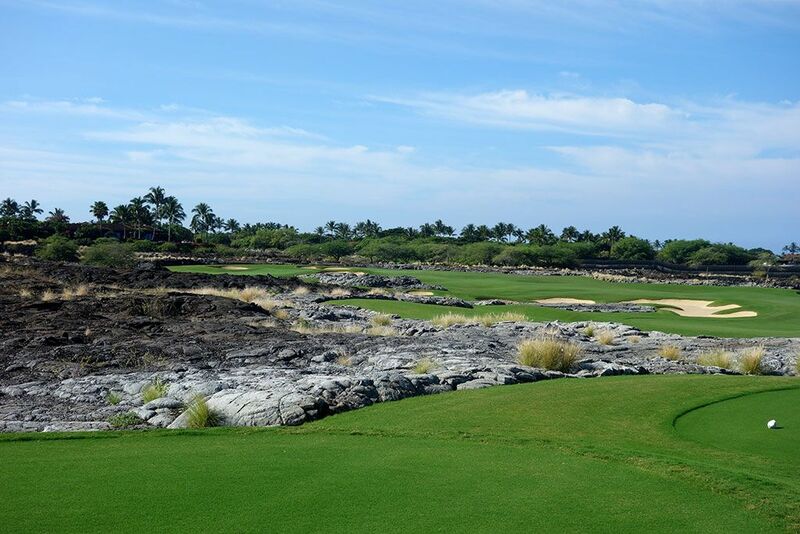 Playability was clearly a priority for Weiskopf at Ke'olu as the fairways are favorably wide and the greens generous so it's very possible that you'll go through your entire round using just one ball as long as you carry the occasional lava hazard. The course isn't flashy in its presentation and maintains a low profile to its surroundings; even the bunkers aren't quite as pretty as the MacKenzie inspired style he usually employs so much of. In addition, none of the holes play along the ocean and only a handful provide a distant view of the Pacific which is fine for members but a bit of a disappointment for their visitors. Signature Hole: 16th Hole – 347 Yard Par 4 – It wouldn't be a Weiskopf course if there wasn't a driveable par four to contend with and at Ke'olu it is here at the 16th. Lava rock is the main obstacle to contend with between the tee and green although the white sand bunkers pose a significant threat as well. The play is up the left side where the fairway can kick balls forward onto the putting surface and create an eagle opportunity. For players that can't carry the ball far, the hole is anything but easy since players will be forced to play out to the right and work their way uphill to the green. 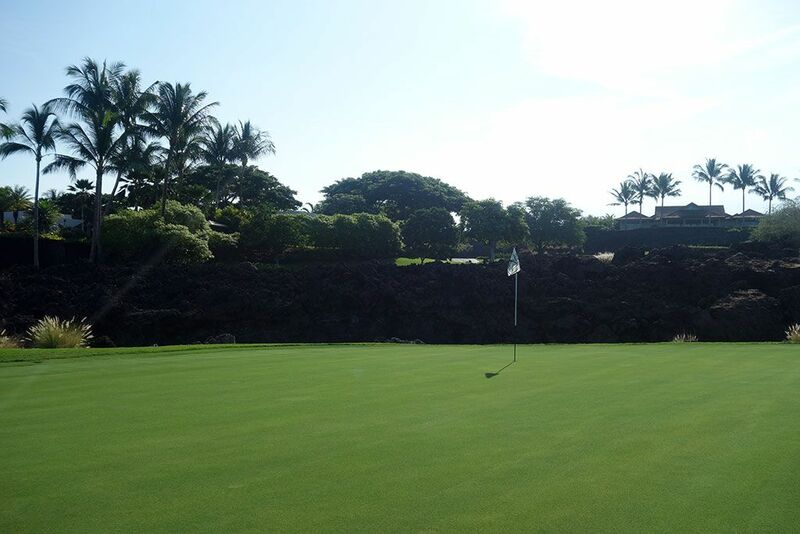 While Weiskopf has designed better driveable par fours, this is certainly the most engaging hole at Ke'olu. Best Par 3: 11th Hole – 219 Yards – An uphill tee shot over lava to a green surrounded by bunkers is what you'll face at the one-shot 11th. The majority of sand is found on the right side of the hole which is also where the flattest part of the green is. Players that don't take enough club to climb the hill will find their ball repelled by the false front or be caught by a bunker. Best Par 4: 9th Hole – 397 Yards – The closing hole of the front nine plays uphill with the fairway carving through a lane of bunkers on both sides. Lava rock again frames the outer limits of the fairway and can either create a lucky kick back into play or slice your ball and eat it forever. Don't get crazy here, just keep it in play and close the front nine with a par. Best Par 5: 5th Hole – 528 Yards – The most attractive hole at Ke'olu is the downhill 5th that presents an excellent chance to reach in two. 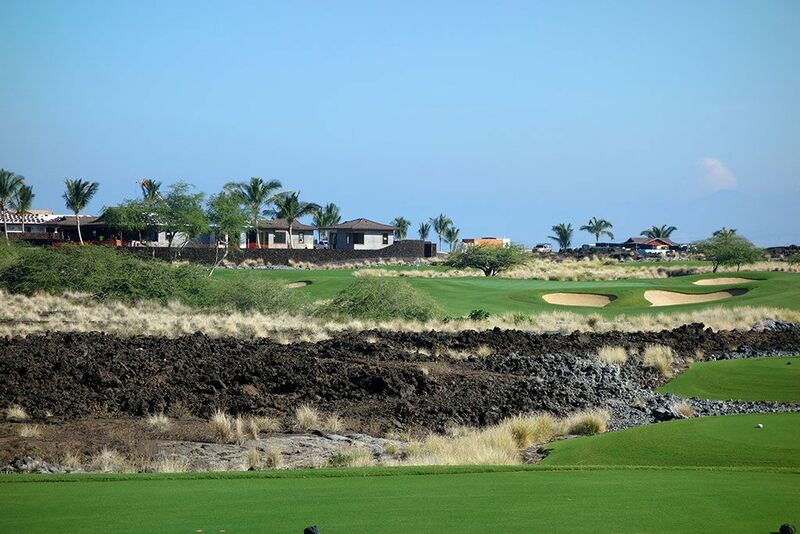 Players are given a wide range of colors to soak in from the black lava, to the green fairway, to the blue ocean in the background. The shortest route to the green is up the left side of the fairway which is also where you will find the most bunkering. A long iron into this green that results in an eagle putt is certainly a possibility with the entire front of the green being unprotected from aerial or ground shots. Birdie Time: 6th Hole – 343 Yard Par 4 – While the 16th gets the pub as the drivable hole at Ke'olu, the 6th is the easier hole to score birdie on. With a wider driving corridor and less trouble lurking, you can reach back and take a big rip here with little fear of the consequences. The hole bends slightly left so a draw is your friend as long as you don't over do it and bring the lava rock into play. A par here may be a disappointment but a bogey would be a tragedy. Bogey Beware: 8th Hole – 465 Yard Par 4 – The uphill 8th is a serious test and features the most demanding approach shot on the course. While the length is stout enough on its own to contend with, the approach shot plays to a green flanked on the left by a lava bowl and provides no suitable surface to recover from. With both sides of the fairways bordered by trouble, there is nothing less than two excellent shots required to get out of this hole with a par and there is no shame in taking bogey.